These sentences are incorrect due to the placement of the ‘modifier’. A modifier adds information to another element in the sentence. They can be words, phrases or clauses that add description. In clear, well-structured sentences, the modifier is found right next to – either in front or behind – the words they describe. There are 3 different ways modifiers are placed incorrectly in sentences: Dangling, Misplaced or Squinting. A modifier ‘dangles’ when its place in the sentence gives it nothing to modify. A modifier describes, clarifies, or gives more detail about a subject or concept, but if that subject or concept is not clearly stated in the sentence, then it will ‘dangle’. Incorrect: Having finished the assignment, the TV was turned on. Who finished the assignment, the TV? Corrected: Having finished the assignment, Jill turned on the TV. Incorrect: Upon entering the doctor’s office, a skeleton caught my eye. Did a skeleton enter the doctor’s office? Had the person’s eye fallen out? Did a skeleton catch it? Corrected: Upon entering the doctor's office, I immediately noticed a skeleton. Incorrect: Working all afternoon, the family room was painted. Did the family room work all afternoon? Incorrect: When smoking behind the bike sheds, the logs were much more comfortable. Did the logs smoke behind the bike sheds? Corrected: When smoking behind the bike sheds, we found sitting on the logs much more comfortable. In these sentences the first part of the sentence is the modifier; it gives an action, but doesn’t specify who is doing the action. The second part of the sentence should provide that, if it doesn’t, then the modifier dangles. In each example, to correct the sentence the subject has been added. Misplaced modifiers are the ones that usually end up giving us a smile. These sentences can be read as something other than their intended meaning. When the modifier is placed too far away from the word or phrase it is modifying, it becomes misplaced. Incorrect: The man walked towards the car carrying the briefcase. Was the car carrying a briefcase? Corrected: The man carrying the briefcase walked towards the car. Incorrect: I slipped on the wet cement running across the road. Was the wet cement running across the road? Corrected: While running across the road, I slipped on wet cement. Incorrect: Gemma left her bag on the counter to go and dance. Corrected: To go and dance, Gemma left her bag on the counter. In these instances the modifiers are not next to the subjects they need to modify. To correct them it is placed next to it – either in front or behind. A squinting modifier is similar to a misplaced modifier but in these instances it is can modifier either what comes before it, or what comes after. It leaves the reader confused which piece of the sentence it is referring to, because it can refer to both. Incorrect: Cycling up hills quickly strengthens your quadriceps. Does quickly refer to cycling up hills, or strengthening your quadriceps? Corrected: Cycling up hills strengthens your quadriceps quickly. Incorrect: Taking a moment to think clearly improves your chances. Does clearly refer to thinking, or improving your chances? Corrected: Taking a moment to think clearly about the issue improves your chances. Incorrect: A writer who revises their words often can recognise their mistakes. Does it mean they revise often, or do they often recognise mistakes? Corrected: A writer who often revises their words can recognise their mistakes. OR: A writer who revises their words can often recognise their mistakes. Moving the word or adding more information is required to clarify the meaning of the sentence. Have you ever had trouble with modifiers in your sentences? Let me know in the comments. Yes that’s right, tenses. Most people do know what they are and what they are for, but it is amazing how easy it is to slip from one to another without realising, or even juggle between two in the same paragraph. Trust me I used to do this and as an editor, I catch others doing it too. 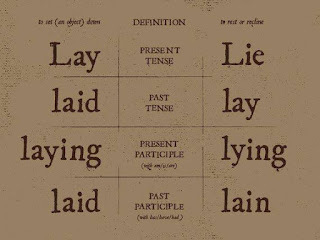 The most common is between simple past and past perfect tense, or using the past participle – the difference between ‘was’ or ‘had been’. People struggle to know how and when to move from ‘was’ to ‘had been’, or sometimes juggle between the two, not realising that they might be making a mistake. It occurs most often when writing flashbacks or referring to an event that happened a long time ago. Sometimes, through scene breaks and chapter breaks, you can move into Present tense to write flashbacks, but in this post I am going to focus on the use of past tense when writing them. The point of view of third person is written in simple past tense, so it can be difficult to define between what is happening now and what is happening then. Mandy walked into the shop. Mandy had walked into the shop. The first sentence can be part of a present setting as we watch the character going into a shop, and it is written using the ‘-ed’ of simple past tense. But when we want to talk about her reflecting back on when she went into the shop we then have to use the past tense of have – ‘had’ – and the past participle of walk – ‘walked’ - making it the past perfect tense. I went into the shop. I had gone into the shop. John thought back to the things they got up to as kids. He remembered the corner shop they used to go to after school, and Dave trying to nick some sweets. John could still see the nervous expression on his face. Dave grabbed a couple of bars and stuffed them under his jumper. The shopkeeper saw him and shouted. Dave ran out of the shop. That was hard to write because I had to resist the urge to correct it. Can you spot the change over? John thought back to the things they got up to as kids. He remembered the corner shop they used to go to after school, and Dave trying to nick some sweets. John could still see the nervous look on his face. Dave had grabbed a couple of bars and stuffed them under his jumper. The shopkeeper had seen him and shouted. Dave had run out of the shop. It’s subtle, but it matters. An alternative would have been to break the paragraph when describing what Dave had done in the shop, making the move to present tense less jolting, and in doing that the scene could have been set in more detail, maybe describing the place or weather etc. But in this brief reminiscing scene it means slipping from one to the other and needs correcting. It is difficult to notice doing this and can mean having to rewrite a whole section or finding a new way to lead into a scene to write it correctly. Have you experienced difficulty changing tenses? Let me know in the comments. If you don't want to miss an editing post and get it sent directly to your email, use the 'Follow me by Email' option in the right hand column. In this post I am focusing on three words that I have repeated trouble with and I know other do too. With all of these words I find myself checking just to be sure, and each time I understand the reasons behind their usage a bit more. The word past locates something in time, and sometimes in space. The word pass means to proceed, move forward or travel by, whether forwards in time, in space, or in life. But the confusion begins when we need to use the past tense form of ‘pass’ – should it be passed or past? As you can see ‘past’ remains the same. Past is never a verb, so if you know that the word you want is a verb (the action word – usually the second word in the sentence after the subject), passed is always the right choice, anything else should be past. Another trick to find out is to try writing the sentence with the pronoun, this will tell you which one you need. This is the one I often look up. 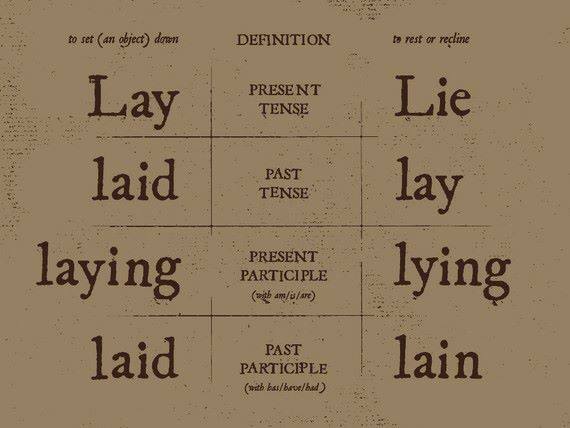 When using these words both the meaning and tense it is written in will effect which one it should be. Rather than try and explain this one. I have put in this simple visual which I use to help me. I hope this provides a better understanding of these words. If you have any tricks you use when working out which one to use, please share in the comments. Do you ever look at a word and wonder if you’re using it correctly? Do you have the right spelling, right tense, or have you missed it completely when reading through because you brain automatically read the correct word for you? In editing it is always worth double checking … and then checking again. There are times when we are not sure which words to use or we misspell words as they look or sound the same. On occasion they mean entirely different things too. With the Internet at our finger tips it takes only a moment to check, but this is where a second set of eyes on your writing in the form of a betareader or an editor can also come in handy. That one ‘e’ makes the difference between the general inhaling and exhaling we do to remain alive – ‘just breathe, you’ll be fine’ – and reacting to an event – ‘he took a sharp intake of breath.’ They relate to the same thing, but they have defined yet subtle differences. The difference between the ‘a’ and the ‘e’, is the difference between feeling like or actually passing out, or hearing something in the distance – ‘there was a faint noise coming from the shed’ – and pretending you are going to go one way, when you are actually going to go another – ‘Tommy’s feint to the left worked and his opponent kicked right’. Feint is used less and is in fact a derivative of the verb ‘to feign’, meaning to pretend. But there are also words that are confusing because their tenses change their spelling and they can read the same. Let’s take ‘Meet’ and ‘Met’. And also ‘Choose’ and ‘Chose’. There are also other derivatives in tenses of this word, like Choice, and Chosen, but the double ‘o’ version tends to throw more people off. We get mixed up because affected can also mean to take on a way of being – ‘he affected a simple demeanour’ – which can also be understood as a result or something happening; ‘he had quite an effect on her’. Effect is a noun – something that happens, a result of an influence. Peek is to look in a secret way. Peak is the top or reaching the top. Elicit to bring out or evoke. Emit is to give out. Omit is to take out. Those are just a few. There are plenty more. So the lesson here is to check, and check again, even though you think you do know, don’t assume – be sure, look it up. Sometimes you might be surprised at the meaning of a word that you thought meant something else, I know I have been. What words do you get confused over? What do you trip up on again and again? Don't miss an editing post, sign up to receive it directly to your email using the 'Follow me by Email' box in the right hand column. Head-hopping is a term used when a writer jumps from one character’s point of view to another character’s point of view within a single scene, so the reader witnesses the thoughts of one character and then another characters about the same event or moment in time. Head-hopping is considered to be an indication of a novice writer and not good practice. I came across it when an editor pointed out that I was doing it. Historically, writers either stayed with one character throughout an entire novel, or used an omnipresent point of view – meaning a narrator who follows all the characters and knows what everyone is doing. But as with everything, times change and even writing styles go in and out of fashion. Just 12 years ago my writing tutor told me it was not possible to change from first person to third person to follow two characters within the same novel, but today it is – in fact it is now common practice. Although the character point of view changes from chapter to chapter, not within the same scene. ‘Black Wood’ by SJI Holliday. This rather marvellous thriller follows the main character in first person, and a second main character in third person, enabling the reader to follow them both. ‘Gaea’s Chosen’ by CaraMichaels. This is an action packed science fiction series written in first person. Each novella in the series follows a different character, so as the story develops the reader sees it from different viewpoints, but all written in the first person. The third novella then takes it one step further by swapping the point of view between two main characters from chapter to chapter, again in first person. This was achieved by each chapter title giving the name of the character being followed. Head-hopping differs from this type of view point change in that it occurs in the same paragraph or scene, which can confuse the reader. They are distracted from the story by the interruption of a second character’s thoughts and feelings, which can also disrupt the flow, making the story difficult to follow and possibly result in the reader disengaging from the story and giving up on the book. Kate gave Michael a slight frown when he glanced over at her. She had never seen him falter as he was being introduced before - and she had seen him introduced to a lot of people. It only lasted a second, but it bothered her and she made a mental note to ask him about it later. For now she wanted to get the conversation going, so she opened the topic of the interior design for the club and what sort of style they were looking for, and Michael started talking about Brunswick Street and what he had seen that he wanted to emulate. In the first paragraph we are following Kate, experiencing what she is thinking and feeling. And then in the next paragraph we jump to Michael and experience his emotions, in the same scene. When we start the second paragraph we are still in Kate’s head, and until the second part of the first sentence we are still following her, then there is a reference to how Michael feels. It is only at this point that we realise we have ‘hopped’ over to his head. Best practice is to pick one character and stick with them throughout the scene, preferably until the next chapter. But should you wish to change within the same chapter, it needs to be treated like a scene change and indicated by using an extra line space, or putting three asterix marks. Also the opening line of the new paragraph should clarify who the reader is following. In the case of the above example from my writing, the second paragraph would start with: Michael felt himself relax as the conversation grew. Head-hopping occurs most in third person writing. In first person, it is clear if the story slips into another character, because they can’t both be written as ‘I’. And the same applies to second person – ‘you’. Second person is used rarely, as it is as though the main character is talking to someone all the way through. Omnipresent is a narrators viewpoint, but it can be used in first person (the narrator is a character in the story), or third person (the narrator follows one main character). But even when writing in omnipresent changing character viewpoint is usually done from chapter to chapter or with a clear scene change marker. How do you tackle head-hopping or character viewpoint change? Let me know in the comments.